Hyoho Taisha-ryu is a koryu (traditional school) of Japanese hyoho (warrior arts) that was created in the late 16th century by Marume Kurando in Hitoyoshi, Kumamoto Prefecture on the island of Kyushu. 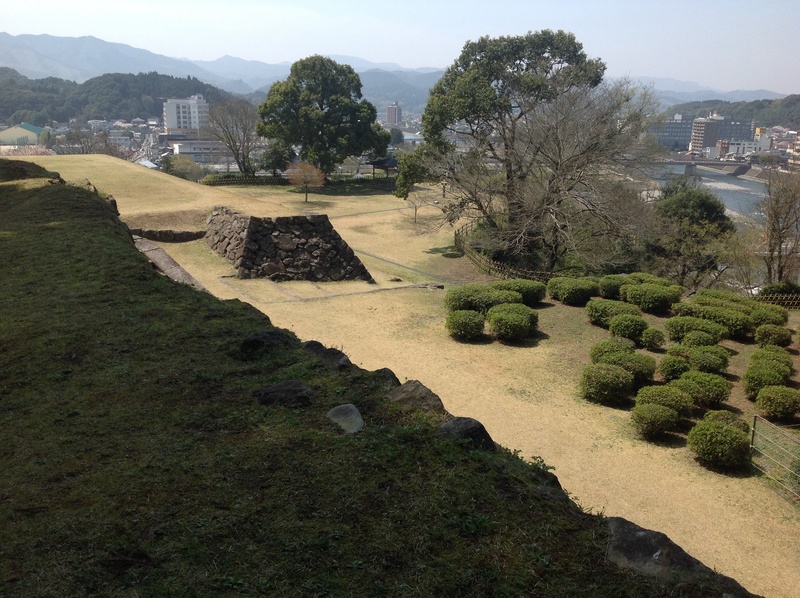 Marume Kurando was born in Yatsushiro-shi* in the domain of the Sagara clan of Hitoyoshi province in 1540. 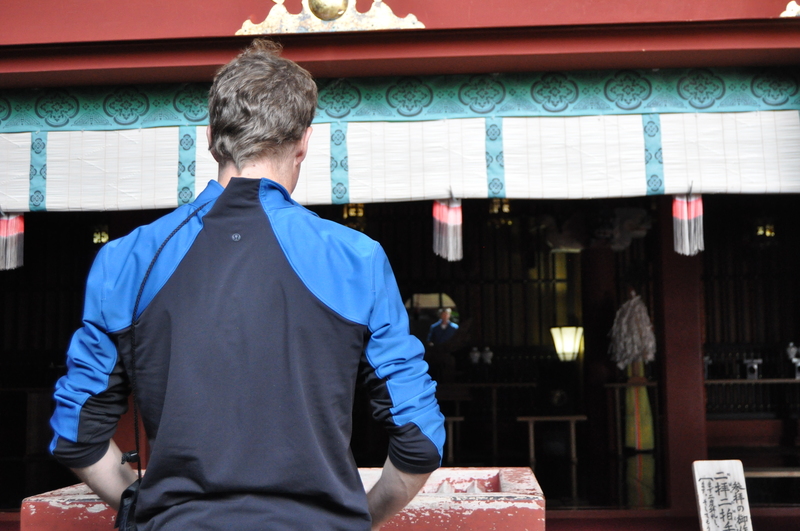 Growing up as a son of a samurai family, he had the standard education of the Confucian classics and the arts of war. He first tasted victory in combat at the age of sixteen and by the age of nineteen was recognized as a potential master swordsman and was thus permitted to travel to Kyoto to challenge the most renowned swordsman in all of Japan – the famous Kamiizumi Ise no Kami Nobustuna, the creator of the Shinkage-ryu. Upon arriving in Kyoto, Marume sought out Kamiizumi and challenged him to a match. After being easily defeated, he followed the custom of the time and asked to become a disciple of Kamiizumi and entered the Shinkage-ryu. The Shinkage-ryu was the most respected school of kenjutsu at the time and had many students. After seven years of study, Marume had risen to become Kamiizumi’s top pupil and was chosen to pair with Kamiizumi when they demonstrated Shinkage-ryu before the Shogun Ashikaga Yoshiteru. Kamiizumi had Marume perform the role of uchidachi (a role usually played by the senior of the two) in the kumitachi (paired pattern practice) they used for the demonstration. The shogun was greatly impressed, proclaiming the Shinkage-ryu the greatest style in Japan and praising Marume’s ability. In 1567, Kamiizumi decided that Marume had mastered the teachings of the Shinkage-ryu and awarded him the menkyo-kaiden (certificate of complete transmission) presenting him with a scroll that still exists. Once granted the menkyo-kaiden, Marume was free to create his own school. He decided to do so in the service of his lord and the Sagara clan, in his hometown of Hitoyoshi. Once there, he was appointed as the master instructor of swordsmanship for the domain and thus to all of its samurai retainers. While Marume was working in the service of his clan, he heard that the son of a fellow student of Kamiizumi Ise no Kami, Yagyu Munenori of the Yagyu Shinkage-ryu and instructor to the shogun in the city of Edo (now Tokyo) had declared that he was the greatest swordsman in Japan – Marume, who considered himself to be the greatest went east to Edo to challenge Yagyu. On meeting Marume, and knowing of his reputation, the great Munenori decided that he would no longer claim to be the greatest in all Japan but only the “Greatest Under Heaven in the East”(of Japan), while Marume was the “Greatest “Under Heaven in the West” (of Japan). That settled, Marume continued his service both as teacher of the sword and a military leader. Among his responsibilities was the collection of intelligence. In a period of almost constant warfare between the different domains this was a vital part of the domain’s security. Marume created a group of spies that were known as the Sagara ninja and introduced a variety of ninjutsu weapons and techinques to the Taisha-ryu. After Kamiizumi Ise no Kami Nobutsuna died some time in the 1570’s (the exact date is unknown), Marume decided to establish his own style that would incorporate what he’d learnt from Kamiizumi with knowledge gained from practical experience in real battles as well as deep philosophical and spiritual beliefs he had adopted. He named his style “Shinkage Taisha-ryu Kenjutsu” – later shortened to “Taisha-ryu” kenjutsu. The name “Taisha “is made up of two parts; it is mysterious, unique and very unusual in that Marume chose to write the first part tai using the Katakana script (タイ) and the second part sha using the usual kanji (捨 ) The result is that anyone seeing it written タイ捨 can’t know for certain what it means. The second part 捨 “sha” means to throw away, discard or to forget. The first part タイ “tai” can substitute for a number of kanji characters and can mean: “Great “(as in great teacher ie: Kamizumii who had died) or it can mean “body” or “wait” or many others. Marume Kurando continued his teaching and service until he finally retired and retreated to a small farm in Nishiki-machi where he continued the practice of hyoho for the rest of his long life, finally passing away at the age of ninety in 1629. Before his death, Marume named Konose Gunsuke Okami Tadayuki as his successor and the second soke (headmaster) of the Taisha-ryu, establishing the lineage that exists to this day. 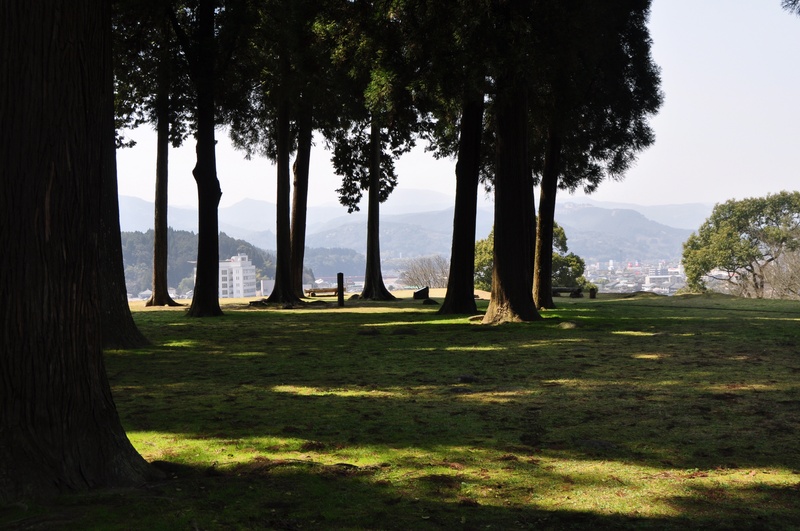 Though the Taisha-ryu was adopted by samurai in many domains in Kyushu and was well known throughout Japan, the headquarters was always in or around Hitoyoshi. The sixth soke was Oda Shichiro Uemon who was a karo (Senior Retainer) to the lord of Hitoyoshi. Since his time, it was decided that the soke of the Taisha-ryu would always be a member or a descendant of his Oda family. Taisha-ryu was created in a time of almost constant war and used to train samurai warriors in tactics and techniques that were used to protect and to foster the aims of their domains. 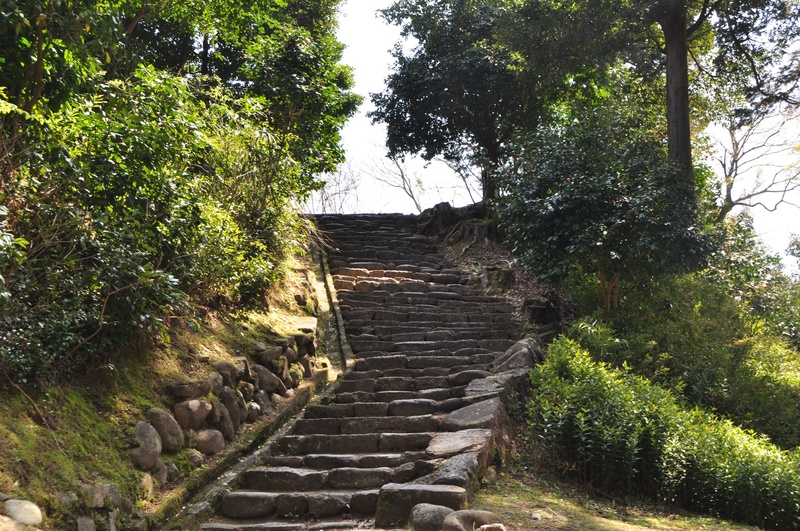 It remained the official style of the Sagara clan of Hitoyoshi until the end of the era of samurai rule. The period of the shoguns and thus the samurai class ended with the Meiji Restoration in 1868, and the creation of the modern state and military – making the samurai warrior redundant. In spite of this, the Oda family and the members of the Taisha-ryu continued to train in the way they had since the beginning preserving the martial art and tradition for the sake of future generations. This was recognized in 1962 when Kumamoto Prefecture declared the Taisha-ryu to be an Intangible Cultural Asset of the prefecture. Currently Hyoho Taisha-ryu Kenjutsu is taught only at the Dojo Ryu-Sen-Kan in Yatsushiro, Kumamoto, Japan. The dojo is led by the two Shihan: Yamamoto Takahiro and Tazoe Shin-Ichiro – both of whom were awarded the rank of menkyo–kaiden by the late 13th soke Yamakita Takenori. At present Taisha-ryu has 51 monjin (members) most of whom live in Kumamoto, though recently students from other parts of Japan have joined and come to the dojo on a regular basis for intensive training and have established study groups (that do not offer instruction) where they practice together. These groups are in Tokyo, Kagoshima, and Saga. From outside Japan new students have come from Hong Kong, China and Sydney, Australia. 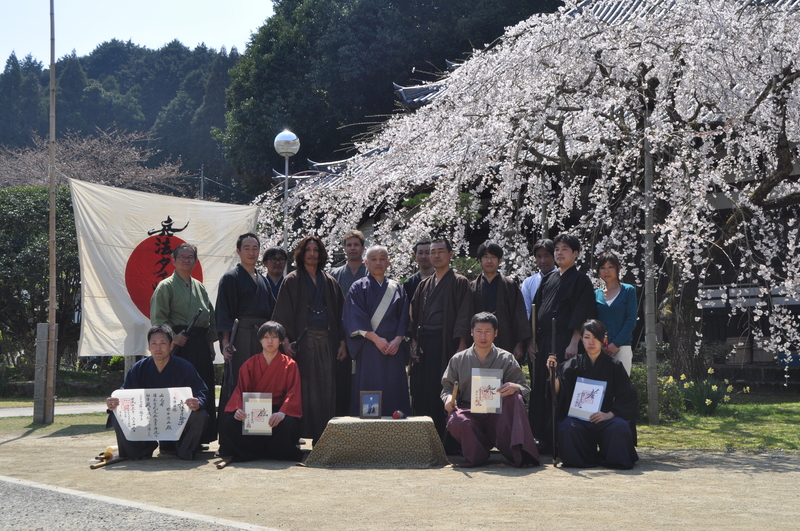 Taisha-ryu group photo at a grading March, 2014 – I’m in the center of the back row. *Original version of this article said that Marume Kurando was born in Nishiki-machi which was incorrect – edited 4/10/14.